Single Cage Ring from Pamela Love. A classic favorite classic ring. 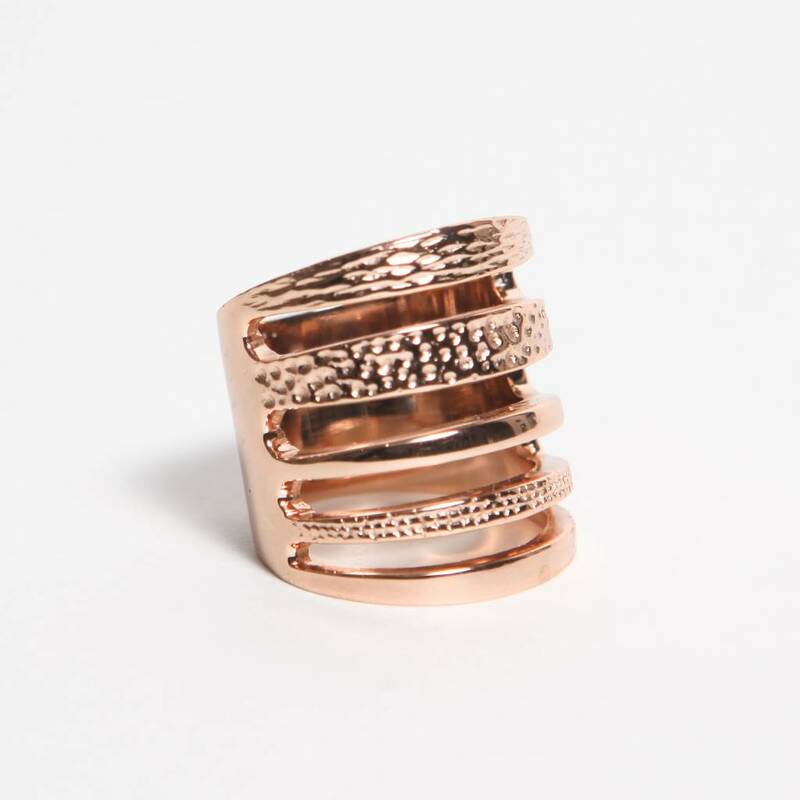 This textured cage ring is available in sterling silver and rose gold over sterling silver. Rose Gold over Sterling Silver.